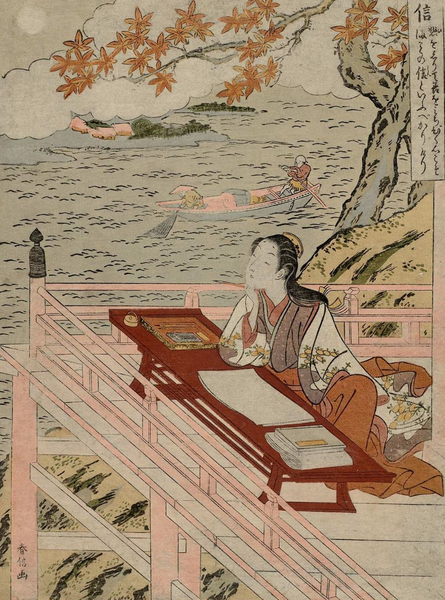 In the fourth article in this series I discussed the hyakunin isshu from a literary-critical perspective, and mentioned how my interest was piqued by the series Chihayafuru. The series focuses primarily on the pastime of karuta, a literary game based around memorising the poems and identifying them as they are read aloud to claim cards with the verse on. In many ways, the story is similar to so many sports and school-club animé; the protagonist discovers a passion for karuta and assembles other like-minded students to try and compete at a niche activity, raising awareness of it. 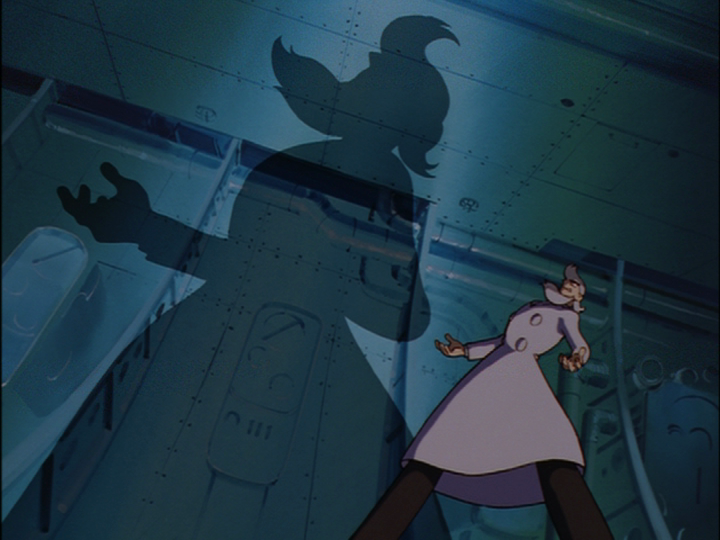 Yet among the usual school misfits and passionate types she encounters, one character’s focus episode particularly stood out as showing that the series was something special. Although Bravely Default only ranked No.9 in my Top 15 games of 2013, it remains probably the best JRPG released on consoles this year thanks in no small part to its high level of challenge and in-depth mechanics. Bravely Default’s story is presented simply and in the vein of the early Final Fantasy games it resembles; while the core console Final Fantasy series has moved beyond the traditional turn-based, four-person-party system in many ways (games like Final Fantasy X/X-2 are probably the most similar from the recent generation, but themselves added certain modifications to the system), Bravely Default places itself firmly within the 16-bit era of RPGs much like Xbox 360 hit Lost Odyssey did. It has a straightforward turn-based combat system based around speed stats, multiple hits per weapon and a granularity between attack speed and damage much like Final Fantasy III did on the NES, and a job system with upgradeable character roles and customisable abilities taken straight from Final Fantasy V). Kiki’s Delivery Service was a film from Studio Ghibli’s extensive library I came late to, largely because (much like The Cat Returns), I was not familiar with what it was about and so had little immediate interest. In many ways, coming to it after having watched series that could be claimed to draw on its positive approach to the world – like Aria – proved a benefit, for it provided the same kinds of ideas from a purer, more innocent perspective and considering how this was different was interesting. Aria, as I have mentioned in previous articles on the subject of these iyashikei animé (a term generally meaning “healing” or optimistic fiction), presents a world with no scarcity of resources or leisure time, in which society is free to work at whatever it likes and industry has returned – under the guidance of space-age super-technology to provide essentials – to craft industries and small-scale local businesses. Magic Knight Rayearth represents acclaimed studio CLAMP’s most recognised entry into the science-fiction genre, creating a magical super-robot series in the vein of Aura Battler Dunbine, but with aspects of the fighting magical girl genre popularised by Sailor Moon. Across its two series it gradually moved away from the fantasy adventure aspects and more into the super-robot field, eventually becoming a very standard robot adventure series with themed villains of different specialties and later-revealed overlord and rival figures in Debonair and Nova. Coming as it did at a time when animé producers were seeking to attract new audiences in established genres (around the same time as other mecha series for female audiences, such as Gundam Wing and Brave Command Dagwon, were airing), its first series provided a novel approach to super-robot animé that holds up well today. This is the final section of my Top 15 games of 2013 – in which the top 5 are counted down. The Top 15 Games of 2013 series continues with entries 10-6; the final part will come tomorrow, in which my personal favourite game of the year will be revealed. This is the first of three articles counting down my top 15 video games of 2013. It is not supposed to be anything more than those games I enjoyed playing the most – and any omissions are either because I never played them, or I did but enjoyed these 15 more.